Jadielady: Happy Anniversary To me! 10 years ago, giver or take a few days, I was putting in my notice at J Crew, and starting my first REAL job, at the company where I still work to this day. So, a week or two ago I received an email with the like to my choices of anniversary gifts! I decided against jewelry, and also a bicycle. We don't need any more luggage, and I was certain a wine glass/decanter set would be a nightmare to ship. 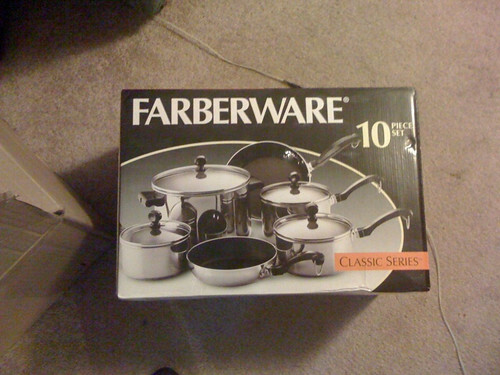 So, I chose pots and pans, since Sam had just mentioned that we needed new ones. I was very impressed at how quickly they arrived, and they're very shiny! 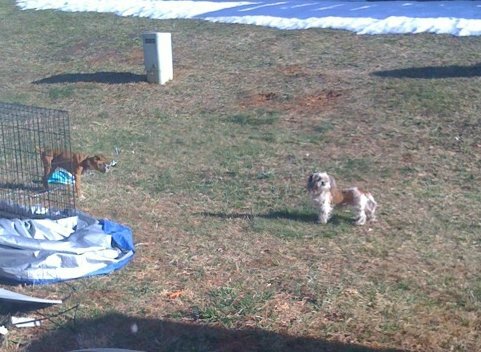 In other news, the warm weather is bringing out all kinds of animal visitors. Our neighbors have gotten a second dog, I'm pretty sure it's a boxer puppy (we've been calling it that anyways). There it is with Bark-bark. 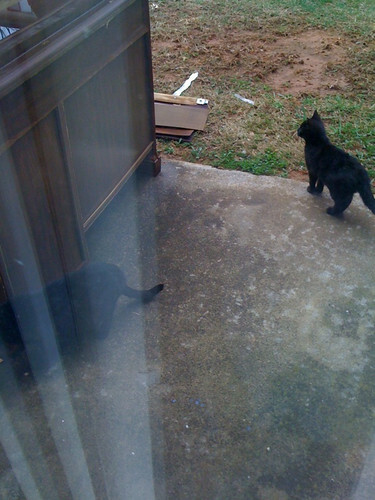 We also had these two little black kitties come by yesterday. Not much else going on. 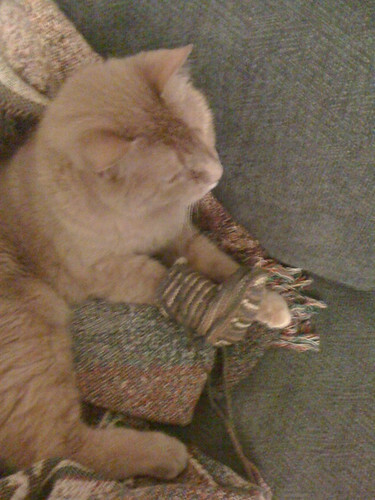 Kitty' medications seem to be helping. YAY! Congratulations on the 10 year mark. 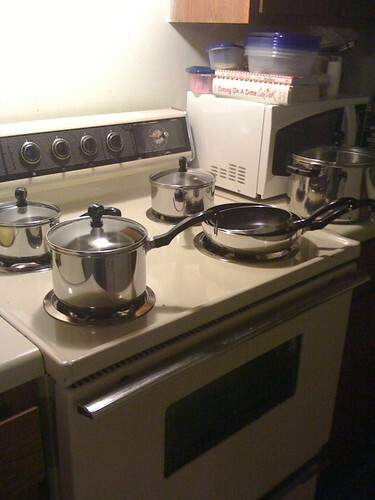 I like your new pan set we need to get a new set around here let me know how you like yours.